The first Irishman to settle in the Poygan Township was an O'Reilly in the Spring of 1851. My great-great-great grandparents, Hugh and Bridgett Cavanaugh Mongan arrived soon after. They were married February 24, 1811 at the Feurty Parish, diocese of Elphin in County Roscommon, Ireland. It is from this county that they emigrated to Poygan. They probably came with some of their children as both were up in years. Hugh died on March 29, 1855 at the age of 75. He was the first recorded death among white settlers in Poygan, and was the first to be buried at St. Thomas cemetery after being disinterred from his family farm. John and Mary Mongan Flanagan, my great-great grandparents emigrated, it is believed, from County Cork, although one would think that Mary Mongan, daughter of Hugh and Bridgett, was born and grew up in County Roscommon, a sizable journey from Cork. They settled first in Pennsylvania. It is possible they arrived as early as 1850 for the records shows that Patrick Flanagan, 1839-1929 (not to be confused with my great grandfather Patrick), brother of John came to the United States in that year and settled in Wayne County, Pennsylvania. Patrick moved to Vesper, Wood County, Wisconsin sometime later, owned his own store and was postmaster. John also had a sister Mary (1839-1908) who married a William Hughes from Ireland. It is not clear if they stayed in their homeland. 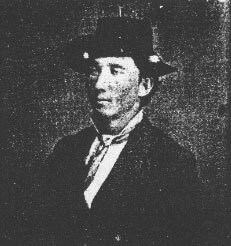 Hugh Mongan's son William, according to Winnebago County land records, sold twenty-seven acres of farmland in Section 15, Town of Poygan to John Flanagan in 1856 for $100. 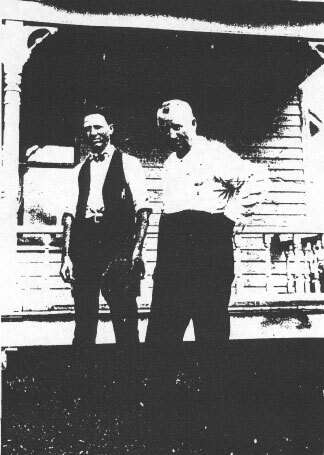 Twenty-three years later John owned eighty-one acres and his son John Jr. forty acres in the same section. The Mongans and John Flanagan left Ireland during the Potato Famine, the worst of which were they years 1845-1847. The potato had been the staple diet of the masses since it was introduced to Ireland at the end of the 16th century. The potato blight hit Ireland in the autumn of 1845 and government action to stem the disease was ineffective and more than half the crop was destroyed. In 1846 and 1847 the blight was even more disease-ridden and the devastation of the crops even more extensive. The government was faced with the impossible task of famine relief, and the task of controlling typhus and cholera. It is thought that starvation and disease were responsible for more than one million deaths in the period of the famine. The only hope of survival for many was emigration. It is estimated that two million left Ireland during this terrible time, over half coming to America. It was in these tragic and appalling circumstances that the great Irish-American population and my Irish-American background had its roots. Mabel Flanagan Carpenter, granddaughter of John and Mary and younger sister of my grandmother Madge Flanagan La Point, reminisced about her childhood and of her memories of her parents and grandparents, and of life when she was growing up. The occasion was videotaped by her great grandson, Dan Carpenter for the Mongan Reunion in the summer of 1986 when Aunt Mabel was 100 years old. Mabel's son Melvin Carpenter conducted the interview. He asked about her Flanagan grandparents: "Grandma did most of the farm work, milking and things like that. Later she had to sleep sitting up. She wasn't able to work. I remember combing her hair as she sat in bed." Aunt Mabel was describing her grandmother Mary Mongan Flanagan when she was sick and near the end of her life. She died a short time later. 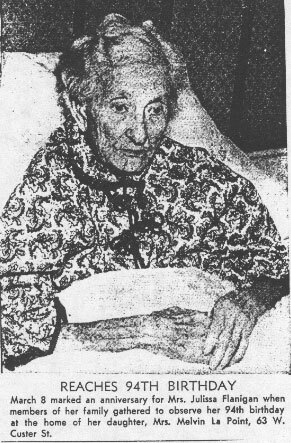 The obituary in the Oshkosh Northwestern states this of Mary Mongan Flanagan: "Her death was due to enlargement of the heart, and for several weeks she suffered the most intense pain, which was borne with surprising patience and fortitude. 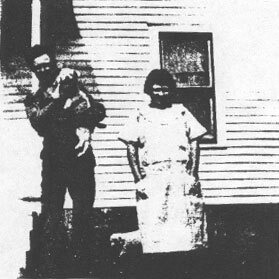 Mr. and Mrs. Flanagan had been married about half a century, nearly all of which time was spent in the place where she died. Deceased was dutiful, self-sacrificing wife and mother, a kind and generous neighbor and friend, always adhering conscientiously to her Christian ideas and practicing the same. Let us hope that she has already received the reward of the 'good and faithful servant.'" Aunt Mabel: "Grandpa Flanagan didn't do anything. I never saw him doing much of any work. Grandpa got other people to do it." (It must be pointed out that John Flanagan was at least seventy years of age at the time of Aunt Mabel's childhood memories.) Continuing she relates that "women did things like milking cows, doing all those things at home in Ireland while men went out and made the money. Women, they figured the man had to work to get the money and womenfolk did the work around the house." It was clear that Aunt Mabel thought highly of her mother although she said few things about her. Her mind didn't seem sharply focused at this point. When sidetracked with a different question the conversation never returned to her mother. But she did say: "She got along with neighbors, got along with everybody, helped take care of neighbors when they were sick." 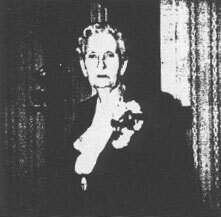 My great grandmother Julissa Tritt Flanagan was the ninth child and fifth daughter born to William and Julissa Hubbard Tritt. She was born the year her dad volunteered to serve in the American Civil War. 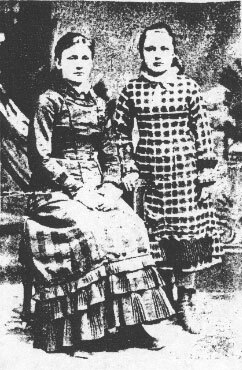 When she married Patrick Flanagan, an upwind neighbor in 1881, her parents, as they did for each of their children, presented them with a ninety acre farm. They were married at St. Thomas church, the Catholic parish in the Town of Poygan. Sometime after, perhaps years, the story is told, the parish priest came to the house and requested $150 in payment for support of the church. My great grandfather told the priest that his land was still money poor, that he could not come up with that amount, but did offer a lesser sum which the priest refused. Instead, the priest insisted that he had a catholic duty to pay the amount the church had arrived at. Additional pleadings by Patrick fell on deaf ears. Tempers must have flown, the Irish temperament must have taken hold, neither side would budge. My great grandfather asked the priest to leave. Patrick never again set foot in a Catholic church. Patrick and Julissa had three daughters and two sons. Madgdalene Agnes (Madge La Point) was the oldest. Charles was the second born, and then came Mary Julissa (Mabel Carpenter), Elizabeth Marie (Libby Knoll), and Frankie. Charles died in Idaho of pneumonia in 1919 at the young age of 36 while digging wells and irrigation ditches during the beginning of the state's potato industry. It is written that my great grandfather, when informed of his son's death, made that long train ride to bring him back for a proper burial. Charles left a wife with three sons and a daughter to take care of. His wife, Pansy Harvey Flanagan, evidently felt ill-equipped to be the head of a now fatherless family, so the three boys were "taken in" by relatives. Rex moved in with Art and Mabel Carpenter on their River road farm in the town of Omro, Harvey lived with his Flanagan grandparents, and Charles moved in with George and Libby Knoll on their farm in the Town of Rushford not far from the Carpenters. Patrick Flanagan died in March of 1935, shortly before I was born but his niece Margorie Knoll Rawson in her book It's a Pleasure says he was "a spinner of yarns and a self-taught musician. He loved music, he played the fiddle, sang little Irish ditties and danced the Irish jig whenever a receptive audience was about." He was a member of the Flanagan Band along with brothers Mike and Jim and Jim's wife Sarah. They played at barn raisings, weddings, public dances and other social events and settings in the Poy Sippi, Pine River, and Lake Poygan areas. Later on his daughter Madge became part of the group. I did know my great grandmother Julissa. I was in my early twenties when she passed away. She was 96 at the time. She was blind and confined to her bed during her last few years, but still alert and interested in life around her. She lived with her daughter and son-in-law Melvin and Madge La Point for as long as I remember, first on Harrison and then on Custer Streets in Oshkosh. I remember her as bright and inquiring. She could carry on a conversation and a card game as well as anyone half her age. And she, like her daughter, had opinions and was not afraid to express them. "She had her own mind" my mother often said. I once overheard her say when our family was over for a Sunday visit and my dad was drinking and most likely between jobs: "Russell, you have a nice wife and a nice family. Make sure you take care of them." The one seated is my Great-Grandmother, Julissa Tritt Flanagan (1862-1958). She was born in the Town of Poygan. About six months later, her father, William Tritt, volunteered in the Union Army. Patrick Flanagan (1859-1935) at the age of 18. First child of John and Mary Mongan Flanagan to he born in Poygan Township. Shown are my Dad and his Grandpa Patrick Flanagan. Picture taken about 1926 when Dad was 18. 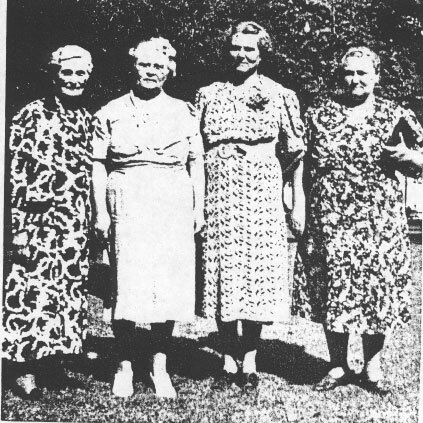 My Great-Grandmother Julissa Tritt Flanagan and her three daughters, Madge, Mabel, Libby. Picture taken in late 1940s or early 1950s. My Great-Grandma Julissa Flanagan as I knew her. My dad and his cousin Margie Knoll Rawson, author of two books on family and rural ways.